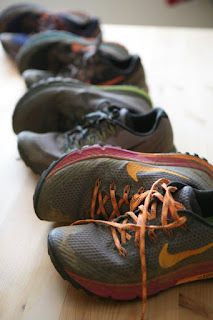 The Nike Wildhorse has been my go-to shoe for the past eight months or so. It's a great shoe, and I plan on wearing it unless (until? is it inevitable that shoe companies destroy good shoes?) the style gets modified. I originally got a pair to wear test - and had tossed them aside in favor of my familiar Saucony Peregrines or Hoka Bondis for longer runs. But this winter I gave the tester pair a try and was pleasantly surprised. 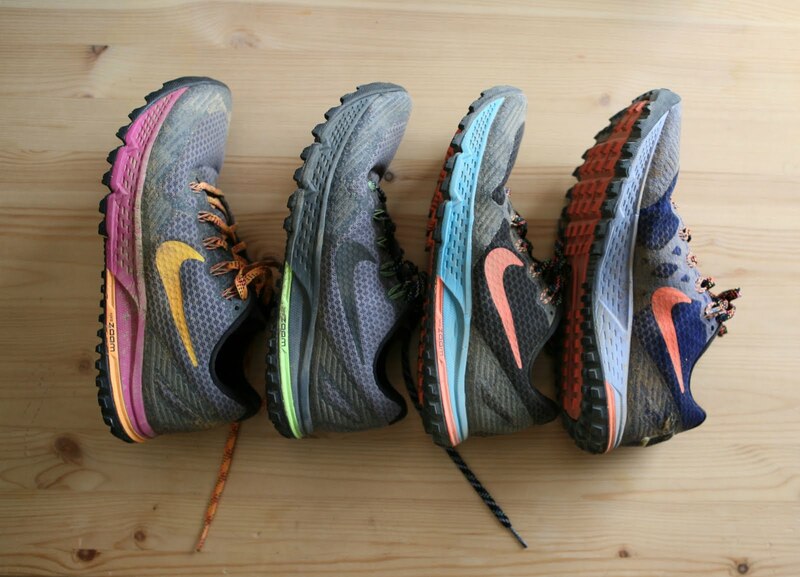 Four pairs, later, it's official, I'm hoarding Nike Wildhorses. I really like the flexible, yet durable upper. Earlier shoes I had worn were either light, but not durable, or durable, but as comfortable as a Kevlar vest. 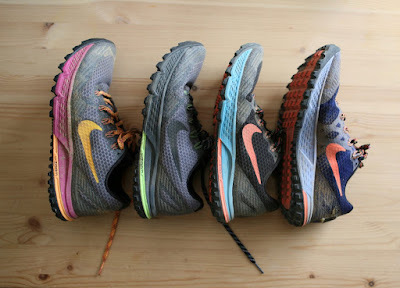 I have ripped through more uppers than I can count - but I haven't busted through any of my Nikes, even after 6 months of pretty consistent training. I've worn these in snow and ice, on the dusty and technical trails in Texas, during Marin's rainy February, and a couple of weekends ago in the mud-fest that was Canyons. They've held up fantastically in all conditions. There is a plastic-like coating on the uppers that repels water and mud and makes the shoes easy to clean off, in addition to keeping your feet dry and clean (relatively). I added a gaiter velcro patch on the back, which has worked really well. The shoe is light and nimble. I like that I can feel the ground underfoot, while enjoying a bit of protection from a rock plate and moderate cushion. If this shoe were a boxer, it would be a welterweight - light enough to go nine rounds, but durable enough to take some hits. It's the perfect balance of ballet flat and workboot. I'm not a fan of the stretchy no-tie laces - I like to tie my shoes. These laces are long enough I can get a surgeon's knot tied, but not so long I'm tripping over them. They also aren't obnoxiously poofy or thick. When you touch your shoes every day, little details make a difference, and it's nice to have a piece of equipment that actually functions well. Poor design frustrates me, but the thoughtful design of these shoes interact with my hands - not just my feet - makes them a joy to put on in the morning. I also really like the tread. It's aggressive without being the kind of shoe that Spidermans to carpet or tile, throwing you to the ground. 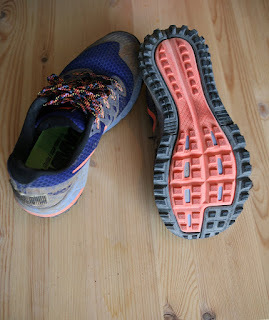 I mentioned the conditions I've worn these in (dry and dusty, snowy and icy, muddy and wet). The tread has performed well in all of them. The shoes have a series of "teeth" around the outside of the shoe that make for great grip. Finally, the shoes haven't lost much cushion over time. The interior is soft - I love the fabric they chose around the ankle insert: it's soft and cushioned, like a sock. The cut around the ankle and heel is generous - no sharp tongue or heel cup poking into your leg or rubbing skin. And there aren't hard seams on the inside that rub or irritate. The toe box is plenty wide for hot, tired feet. In daily shoes I wear a size 6, but I get a size 8 in these, so they may run a bit small (so buy big). But the fit is really fantastic. 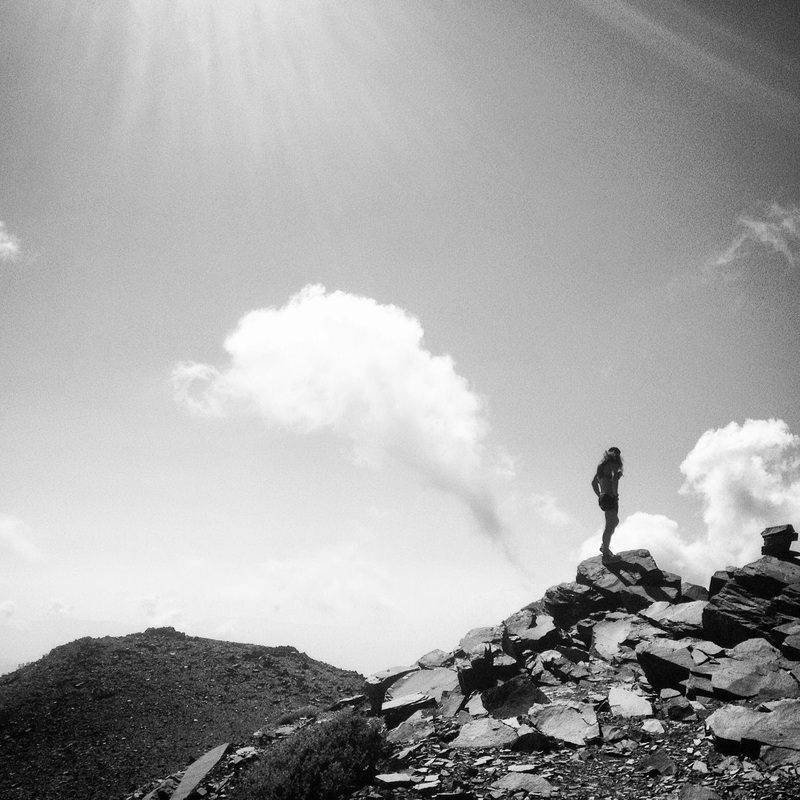 The next test for my Wildhorses: San Diego 100 next weekend! Giddyup!